Are College Student Jobs such a good idea? College student jobs are definitely out there. I know because I have one that I think is pretty great as a student! I get health, dental, and vision benefits for working part-time, which is a big thing for me since I have a family. But, is having a job as a college student such a good idea? The most important thing is to consider your situation. If you really need a job to survive, then it is a good idea. However, if you don't need a job, is it worth the potential slip in your grades and school work by getting one? College student jobs definitely have their benefits and pitfalls (just like anything else). You just have to carefully examine your situation and determine for yourself. The great news is that there are usually a great number of resources to help you find jobs for college students if you know where to look. Do I need a job as a college student? This should be a simple question to answer for anyone who has heard the phrase "Poor College Student". Not that college student jobs will make you rich, but they can provide enough to pay your bills and have a little fun (which is still important)! College student jobs don't just provide extra cash though. Depending on what your major is, a job is a great place to begin applying what you learn in school. Internships are especially great for this, but are often unpaid. Having some experience with what you have studied in school can make a great addition to your resume. Don't get hung up on this point though. If you are fortunate enough to find a job that allows you to apply your new skills, just consider yourself that- fortunate. Most college student jobs won't provide too many opportunities to apply what you learn unless it is a job that is a part of your chosen field (for example health-care jobs). Student jobs will be simple, earn a little extra money, and not take away from your schooling. I have a part-time job at a grocery store. It is a unique situation where I can get employee benefits (like health insurance) while working part-time. With a family, a job is a necessity for my situation. -How much do you need to make per month to meet your needs? -How much are you able to work and not fall behind on your school work? -Do you need medical, dental, and vision benefits? -Do you want tuition reimbursement? -How far are you willing to travel for work? -What time of the day will I have to work? With these questions in mind, remember that beggars can't be choosers (I'm sure you understand that better now as a college student more than ever). But, keeping these questions in mind will give a good sense of direction to your job search. If you answered no to the question, "Do my needs necessitate a job during school", then its really up to you if you want to get a job. Decide if it is really worth it at the sacrifice of your school work. What college student jobs should I look for? This is a big one. Most students will have part-time college student jobs. But, if you are paying for school yourself, or just have a lot of extra time on your hands, you may want a full-time job. With the many different commitments in my life (family, school, church, work, hobbies, etc. ), I need a part-time job. Will the job require you to work mornings, evenings, weekends, or graveyard shifts? If so, you had better hope they will work around your school schedule (always make school a priority with your job hunt). And you don't want to have to go to your first class in the morning right after working an 8 hour graveyard shift! JUST A SIDE NOTE: when you go in for a job interview, and they ask you to tell them a little bit about yourself, say that you are a STUDENT! As a former manager of a retail business, it would always catch my attention if the interviewee mentioned that they are currently going to college. It is also super important to make sure that you ask the interviewer if they will work with your school schedule. You can't be missing classes because you are scheduled to work. Most employers I have interviewed with are very flexible when it comes to school. They see it as a benefit to them. If you are better educated, then you should be a better employee. If they don't work with school schedules, then you might as well just not waste your time with the rest of the interview and look for jobs elsewhere. How involved are you going to be in this new job? Something that I really like in my current job is that I can forget about it when I clock out! I can leave my work at work instead of taking it home with me. I already have homework from school. I don't need it from work too! Good college student jobs shouldn't be so involving that they take your focus away from your school work. Being a manager was too much of an involved position for me to do both it and go to school. My solution was to find another job. I call it "mindless work". Having a job that you can clock out of mentally when you clock out of physically can make for a lot less stress in your life as a college student. And who couldn't use less stress in life! Again, this is going to be a little different for everyone. Use the questions above to come to a conclusion on these points. Then, look specifically for jobs with those characteristics that you determine necessary. Where can I find jobs for college students? This part might not be as hard as you think it is. There are many resources immediately at your disposal to find college student jobs. The first place to look would be around campus. On-campus jobs are great because you can almost guarantee that they will work with your school schedule, no questions asked! Plus, they will have a low involvement factor. PERFECT! You can usually find campus job postings around the student union building or the student services building. It helps to have work-study, as many of these jobs will require that you qualify for it before you can be hired. Another place to look for campus jobs is at the school's website. You are looking for a link that says "Employment". If your school has an A-Z index on their home page, then click on the "E" and look for an employment link. Also try the "S" for student employment or the "W" for work-study. If you find nothing on campus, then look around town. Towns and cities that have schools and/or universities in them almost always have an array of places that will hire students. 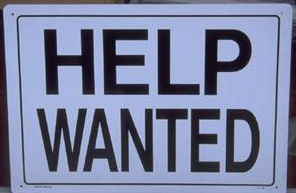 Look for help wanted signs and even ask some of your friends if they have jobs and where. A good place to look for local companies who will hire students is the school's newspaper and local papers. Look to see if your school newspaper has a classified section. This is like gold when looking for college student jobs because all of these help wanted ads are companies specifically looking for students. If these sources fail to bring any good prospects, then looking online is another good avenue to find good college student jobs. Some job searching websites have search options that will allow you to search for part-time work, that pays a certain amount, and is in a certain field of work. Very helpful! In the end, college student jobs should be something that will work for you as a student. Consider your personal needs carefully and determine if you should get a job as a college student. Be sure that the job is going to allow you enough time to make it to class and complete all your school work. They need to be willing to work with your school schedule and meet the other needs you have as a busy college student. Finding jobs for college students can be fairly pain free. Start by looking around campus and on the school's website. Then, look around the community and in the local papers for hiring companies. Lastly, looking online for student jobs can be very good too. You can customize your search to be for part-time work, in a specific field, and close to where you live! Want more information about finding college student jobs? Start with your student job search!